How could we gain access to these sources? Mostly, the access to these sources are achieved via the IP addresses of your institution. To enable your access, you will just provide us your IP range. Some sources require username/password for access. In these cases, the necesaary information will be provided to you after the validation of your subscription. The IP address is the address which online devices use to transfer data over the web. By checking the IP addresses that you use, publishers’ systems designate from which institution you are trying to access the system and provide you the content by confirming your subscription. You can find out your IP range from the IT department of your institution. How can I access to the user guides regarding the usage of the platforms? Both on our web site and on the publishers’ web-sites, there are sources such as user manuals, video tutorials, power point files that can help you about the usage of the platforms. You can always get the link to these resources from us or request additional material. How can I access the usage statistics? When you subscribe to a database, administrator passwords are forwarded to you in order to let you configure certain settings and monitor the details of your subscription in institutional base. If these are not forwarded to you automatically, you can request these from us. When you log in to the platform, you will be able to access many information including the usage statistics. How can I access the MARC records for E-Books? Upon your request, MARC records for your purchased/subscribed e-books or the links to those records will be provided to you. What is open access? What are the open access resources that you represent? Open access means that you will be able to access relevant scientific content without a charge and without the need of a subscription/purchase. You can view the open access titles we represent, under the “Open Access” icon on our website. The models of the consortium agreements that the publishers create for e-journal packages usually bases on the existing subscription of these institutions, for the journals that belong to these publishers. These magazine subscriptions are named as “Holding Subscriptions”. What is DDP (Deep Discounted Price) ? The models of the consortium agreements that the publishers create for e-journal packages, usually bases on the existing subscription of these institutions, for the journals that belong to these publishers (Holding Subscriptions). These journal subscriptions could be done in hard copy through an agent as well as online directly from the publisher. To ease-of-payment this could be added to the invoice issued for the e-journal package. If an institution pays the publisher over e-only price for all journals’ content (this is more favorable compared to the printed price) but also wishes to have a printed subscription for one or some of these journals, the institution will have the right to pay only 25% of the printed costs of these journals. This discounted price is called DDP (Deep Discounted Price). Please contact us to find out whether you have such rights or not. How are the prices designated? The prices are designated as a result of the negotiations made between the publisher-consortium. These prices are mostly 80%-90% discounted from the list prices of the titles included in mentioned packages. How are the billing processes handled? The invoices that belong to the publishers under our representation are issued by the respective publisher and then shipped to us. Afterwards, we forward them to you. The invoice amounts are the agreed consortium prices, there are no service costs added by our firm. As the invoices are issued from abroad, no taxes (VAT) are added as well. How can I get the documents required for payment? If you need a proforma invoice for the payment, please let us know of this. The document which proves that the publisher is the only representative is translated to Turkish and notarized afterwards. Then, this document is forwarded to consortium officials to be added into the ANKOS system. You can access these documents over the ANKOS web-site. You can also get detailed information from the respective Database Liaison People (VTS). How are the subscription processes handled? You can forward us your request for any product of publishers that we represent – or to relevant VTS if there’s an ANKOS agreement. The required processes afterwards will be handled by us and you will be informed of necessary information. Do I need to sign a contract for my subscription? A contract will be sent to you to sign after your subscription approval. This agreement must be signed as two copies and shipped to our address. After you’ve signed the contract, a copy of the contract will be sent to the publisher for them to sign as well. Afterwards, a copy which is signed by both sides will be forwarded to you, if you wish. Could I make an amendment request on the contract that I will be signing for my subscription? The contracts are prepared very inclusively by the law department of the publishers. Then, they are inspected by the ANKOS Licence Agreements Group (LAG) and if there are any amendment requests, they are forwarded to the publishers to ensure that the institutions have the maximum guarantee for their rights. Thus, it is not possible to make an amendment request in institution base on any contracts approved by ANKOS. Is there a translation in Turkish available for the contracts? For all consortium agreements of all publishers that we represent, the translations are made by sworn translators and this copy is forwarded to ANKOS officials. You can access these translations from ANKOS web-site. Is it possible to access from mobile devices? Almost every publishers’ content are also offered in platforms that are compatible with mobile devices. I'm experiencing an access problem, how can I solve it? If you are experiencing an access problem, you have to consult to your IT department initially to make sure that there are no technical problems from your side. If there aren’t any, you will kindly send the screenshot of the problem to us via e-mail then we will contact the publisher to ensure that problem is solved as soon as possible. What is Proxy IP? How can I find mine? How can I find my library administrator account credentials? After your subscription process is finished, the administrator account credentials will be forwarded to you. If not, please contact us. Even though I have a subscription to a e-journal package/database , I can't access certain content. Why? The publishers generally divide the journal publications as up-to-date contend and archival content. In general, the consortium agreements are for up-to-date content only. Thus, your subscription involves access rights for content which is valid until a certain year. You can find out which publisher permits access until which year from the ANKOS web-site or by contacting us. Is there chance for me to access a content/article that is out of my subscription? The publishers have strict policies about sending free content/articles. Thus, unfortunately it is not possible to access any content that is beyond the period of your subscription. However, it is possible to purchase the single article in question with a small amount of payment from the publisher’s web-site with your credit card. I want a trial access for a source. What should I do? The publishers open trial accesses across the country in certain periods upon requests. These periods are announced to the members by us or by the relevant Database Liaison People (VTS). 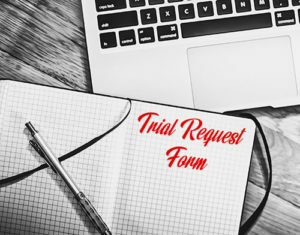 Apart from these periods, please contact us if you have any trial access requests or fill-in the form on our web site. How long do the trial accesses last? The trial access usually enables access for 1 month. However, as occasions require, it is possible to extend this period. Please contact us for further information. I want to cancel my subscription, what do I have to do? The details are as stated in the answers of previous questions; you’ll have to sign a contract when you get a subscription. There are also conditions of termination in this contract. Usually, it is possible to terminate your subscription if you notify it before certain amount of time. You can get more information about the cancellation periods which differ between publishers, from us or from the relevant VTS. How can I access to E-journal/ E-book lists? The lists of the titles available in the package you have subscribed to, could be found in the general announcements which the relevant VTS’s have sent you. Apart from this, you can also obtain them from the web-pages of the publishers or by contacting us.